Looking for an "away from it all" vacation? Tilghman Island is a great option when you want an unspoiled and authentic Maryland vacation experience. Off the beaten path but close enough to St. Michaels to enjoy restaurants, shopping and sightseeing, Tilghman Island is the perfect place to escape. 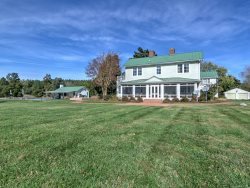 We feature a variety of Tilghman Island rentals including waterfront cottages and cozy vacation homes.